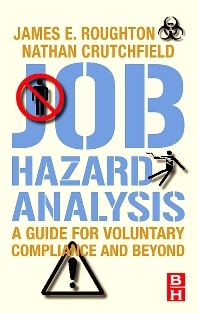 Job Hazard Analysis: A Guide for Voluntary Compliance and Beyond presents a new and improved concept for Job Hazard Analysis (JHA) that guides the reader through the whole process of developing tools for identifying workplace hazards, creating systems that support hazard recognition, designing an effective JHA, and integrating a JHA based program into occupational safety and health management systems. The book goes beyond the traditional approach of focusing just on the sequence of steps and demonstrates how to integrate a risk assessment and behavioral component into the process by incorporating elements from Behavior-Related Safety and Six Sigma. This approach allows businesses to move from mere compliance to pro-active safety management. This book methodically develops the risk assessment basis needed for ANSI/AIHA Z10 and other safety and health management systems. It is supported by numerous real-life examples, end of chapter review questions, sample checklists, action plans and forms. There is a complete online solutions manual for instructors adopting the book in college and university occupational safety and health courses. This text is intended for lecturers and students in occupational safety and health courses as well as vocational and degree courses at community colleges and universities. It will also appeal to safety and health professionals in all industries; supervisors, senior managers and HR professionals with responsibility for safety and health; and loss control and insurance professionals. Safety and Health professionals in all industries; supervisors, senior managers and HR professionals with responsibility for safety and health. 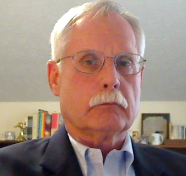 Loss control and insurance professionals. Lecturers and students on occupational safety and health courses - vocational and degree courses at community colleges and universities. Completing the JHA Form The Header Job Description Department Date Developed Page Numbering Performed by Approvals PPE Body of JHA Job Steps and Task-Specific Description Risk Assessment Existing and Potential Hazards and Consequences of Exposure At-Risk Events and Preventative Measures Preventative Measures Eliminate the hazard.